As the Philippines’ first known hero, Filipinos ought to know more about the bravery of Datu Lapu-Lapu and learn how did we win the battle of Mactan against the Spanish conquistadors. 1. The tide was on their side – According to Antonio Pigafetta, an Italian scholar and explorer from the Republic of Venice who traveled with Ferdinand Magellan and his crew by order of the King Charles I of Spain, they were forced to anchor their ships “two crossbow flights” away from the beach so they have to wade themselves to the shore and engage in a hand to hand combat with the natives. 2. The Spaniards were outnumbered – Based on Pigafetta’s account, 50 armored Spaniards including Magellan faced around 1,500 warriors of Lapu-Lapu. 3. Magellan made a wrong assumption – Magellan thought that because Rajah Humabon was the king of Cebu, he was the king of Mactan as well and Datu Lapu-Lapu would obey Humabon, but the structure of Chiefdom in the ancient Filipino society is not like that of the European society. Mactan is under Lapu-Lapu and Zula’s domain so when he told Lapu-Lapu to submit to them as his King Humabon did, he simply replied that he is not willing to do so and stood his ground. 4. Magellan underestimated his opponent – Magellan went to Mactan Island with around sixty Spaniards and twenty to thirty balangay (war boats) of Humabon’s warriors from Cebu but he wanted to show-off the superiority of their European armor and weapons so he told Humabon’s warriors to remain in their balangay as if they were just audience he brought along to watch him slaughter the natives who to him looked naïve with battles. 5. 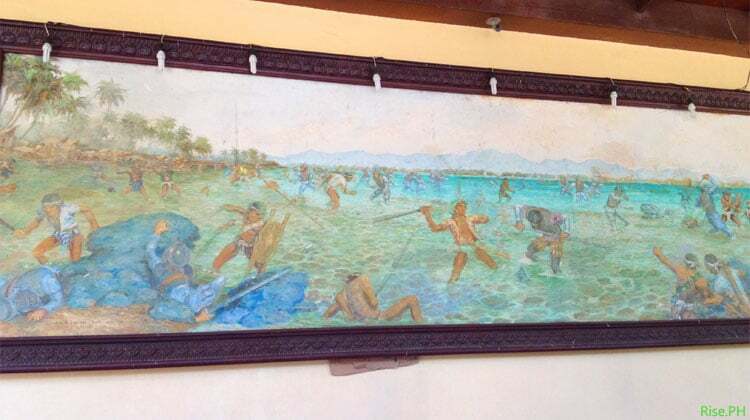 Good team work – Filipino warriors moved in synchrony against the Spaniards, despite of the fact that they did not have the finest armory, the fully equipped Spanish soldiers were easily defeated because Lapu-Lapu’s men moved as one. Thus, the hunter becomes the prey. Basing again on Pigafetta’s journal, it was not actually Lapu-Lapu who killed Magellan but his men. When they recognized the Captain, they focused their attacks on him while the rest of his men retreated to the ship upon his command. Now, let’s get to know the Filipino leader whom Ferdinand Magellan underestimated. 6. Datu Lapu-Lapu is also known under the names Çilapulapu, Si Lapulapu, Salip Pulaka, Cali Pulaco, and Lapulapu Dimantag. The reason for this various names he was known for is said to be because of wrong translations done by writers who wrote about his heroic deeds in his territory to preserve independence from the European invaders. No matter what name he was called, writers agreed on two things, this man was both very intelligent and a great warrior. 7. He is said to have been born in 1491 although the exact date of his birth was never told. At the age of 6, young Lapu Lapu was already able to ride horseback and caribou. The following year, he was able to write and read. And two years after that, he became an excellent boxer. He also mastered other sports such as swimming and wrestling. By the time he turned eighteen, he became champion of all those sports. At the age of twenty, Lapu-Lapu has already fought with Bornean soldiers and pirates, and won. 8. Lapu-Lapu arrived from Borneo during Humabon’s reign, over Sugbo (now Cebu). He asked Humabon to give a place for him and his people to settle in. Humabon provided him the region of Mandawili (now Mandaue), including the island known as Opong (or Opon) for Lapu-Lapu’s people to cultivate which they did and helped enhance the trade of Sugbo. Although their friendship was tainted upon the arrival of the Spaniards, the two leaders became friends again after the Battle of Mactan. 9. Little is known about how did Lapu-Lapu die. Some historian said that Lapu-Lapu decided to return to Borneo with his eleven children, three wives, and seventeen men, and since that day he was never heard of again. Some locals also believe that in his final years, Lapu-Lapu did not die, but turned into a stone, and is forever guarding the seas of Mactan. 10. 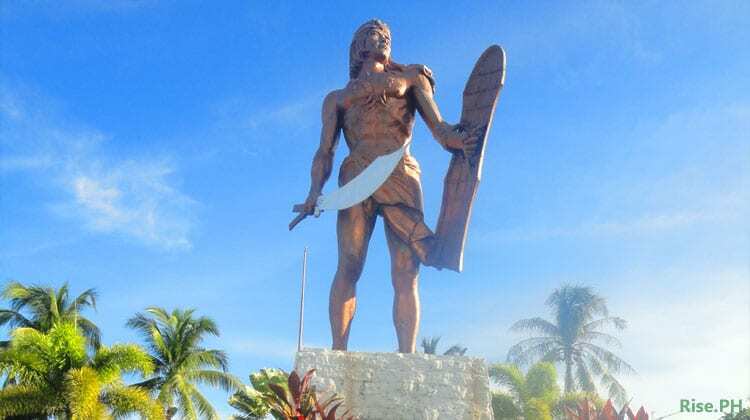 The Philippine government erected a 20 meters (66 ft) bronze statue in his honor on Mactan Island and changed the name of the town of Opon in Cebu to Lapu-Lapu City. The statue used to hold a bow and arrow pointing to the Municipal Hall where the mayors of the said town used to hold office but after three succeeding mayors died due to heart attack, some superstitious people suggested changing the design of the statue. 11. A P15-million worth of brass statue of Lapu-Lapu was donated by the Korean Freedom League. It was called the “Sentinel of Freedom” and given as gift to show their appreciation and at the same time honor the memory of Filipinos who helped during the Korean War in the early 1950s. Some historian argued that it should be removed from Luneta or Rizal Park because the place was meant for the martyrs who died during the Spanish regime. There are also two other monuments of Lapu-Lapu; one in Paseo de Roxas and Makati Avenue. 12. He appeared on a Philippine 1-centavo coin which circulated in the Philippines from 1967 to 1974. 13. Lapu-Lapu is the central figure in the seal of the Philippine National Police and the Bureau of Fire Protection. 14. Two films were made about him, both called Lapu-Lapu. The first movie was in 1955 and the second in 2002. Lapu-Lapu was portrayed by Mario Montenegro in the first movie and the latter film by Lito Lapid. Datu Lapu-Lapu left us the legacy of freedom. He did it through his extraordinary bravery and love for his own land. I hope that Filipinos today will do the same. We must also fight for our freedom. We must be free from poverty and corruption. So are you ready to fight like Lapu-Lapu? LOL at number 10. Now we know what to do to those corrupt politicians. We need many of those Lapu-lapu statues. Hehehehe! I read numbers 8 & 9 in Wikipedia. This means he wasn’t a true Cebuano and even left for Borneo after the fight with Magellan. With all his children and wives back to Borneo, it is likely he has no descendants in Opon, as many have claimed. Humabon was born in Cebu and was a 3rd generation descendant of Datang from Sumatra. That would make his title First Filipino Hero questionable. Wikepeddia?? Lapu2x is real cebuano do doubt because of Pigafitta chronicles but your stories about he came from Borneo, his families is real fiction!…I think you’re not cebuano perhaps you’re ilonggo or tagalog….inggit lang kayo sa totoo lang! You are right MerleC however what is a true Filipino? (In this case Cebuano) Aren’t every body immigrants? The first inhabitants of the islands where pygmy’s that came from the land bridge in Asia? (that is if History is correct). And the Philippine islands was a trading place by the Malay, Chinese, etc. Also the tile “Raja” “Datu” Malay in nature? The jacano theory makes the most sense and are considered facts. Its impossible to prove that pigmys were first in philippines as the indios which spain called us have been living along side with the pigmys for thousands of years before the Philippines was even discovered. I know the beyer theory who is American is a good theory, but the jacano theory is considered a fact. There is an island in the Philippines called negros. When it was discovered by spain all the tribes in the island were pigmys and thats why they called it negros. But when spain lost control of the island almost all the pigmys were gone. Probably went to Australia. Who knows. that was 1521 years ago how can these stories mentioned are true? for me it’s 5% true and 95% false….just imagined even your 3rd degree cousin can’t recognized their relatives or perhaps about you! these people discredit the heroism of lapulapu are coming from luzon area for sure…. Unfortunately, written records are the most verifiable historical data source. The natives did not have a recorded version of their own. Between the written data and our opinion of what may be true or not, which has greater weight? Yes, we all know the answer. Thus there is the danger when we point to some people trying to change history, when we ourselves are the ones obviously doing it. Everybody!!! believe it or not it’s a true story!!! I am filipino. And this is a real story, even, i studied history.. some of the histories are hard to believe so yeah! stop laughing about this history because this is serious! wrong! humabon & lapu lapu’s friendship got tainted prior to the arrival of Magellan because Lapu Lapu ventured into piracy thus Humabon asking the help Magellan to kill Lapu Lapu. they became friends after the battle of Mactan prior to Lapu Lapu’s return to Borneo. DATU LAPU LAPU WAS MUSLIM.